The versatile Watlow cable heater can be formed to a variety of shapes as dictated by its many applications. Cable heaters are small diameter, high performance units, fully annealed and readily bent to a multitude of configurations.The heater can be formed into a compact coiled nozzle heater for use on plastic injection molding equipment supplying a full 360 degrees of heat with optional distributed wattage. A straight cable can snake through a sealing bar in packaging equipment. 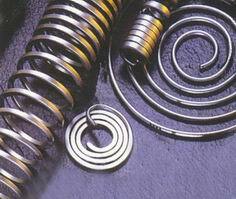 Flat spiral configurations are used in semiconductor manufacturing while a star wound cable is used for air and gas heating. High ductility allows the heater to be cold-formed into almost any shape. Internal construction options allow internal thermocouples and no-heat sections. Cable heaters can operate in unusual environments, including cryogenic and sub-freezing temperatures, high vacuum, and gaseous and liquid immersion conditions.